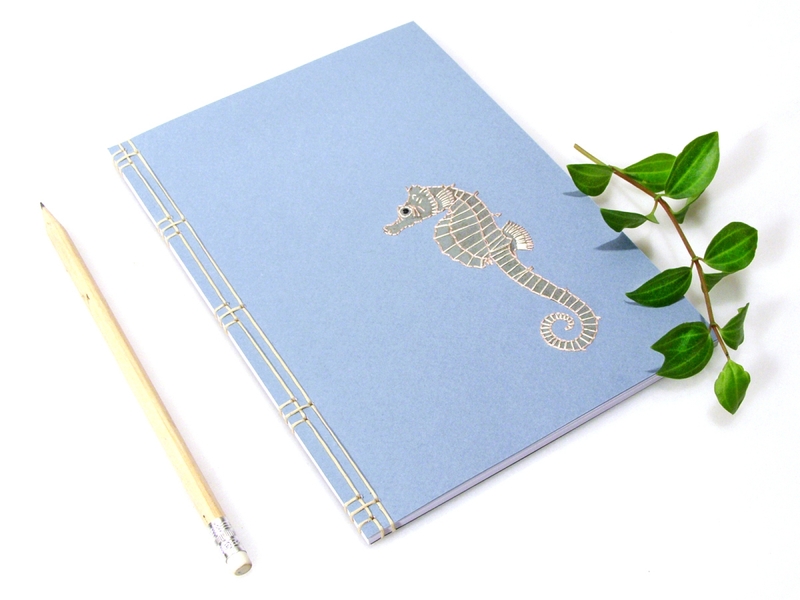 This Japanese-style notebook is made by using a traditional stab binding technique. 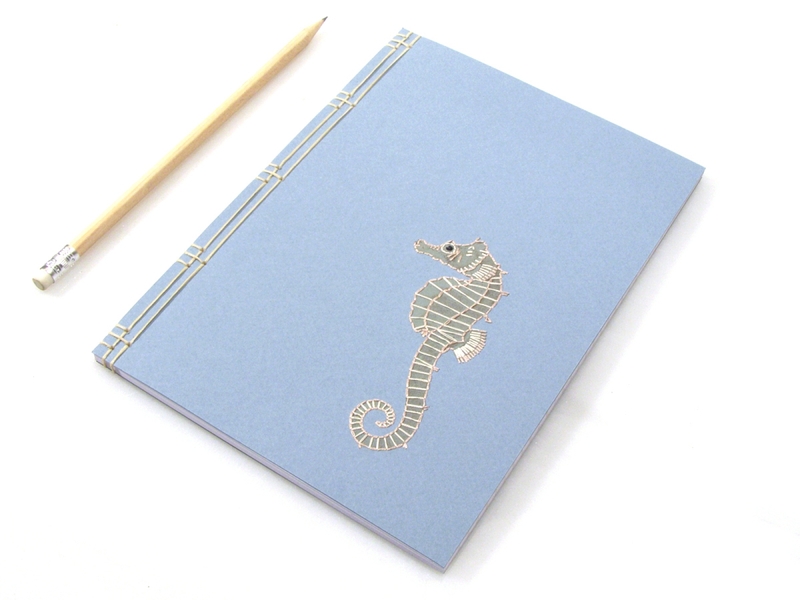 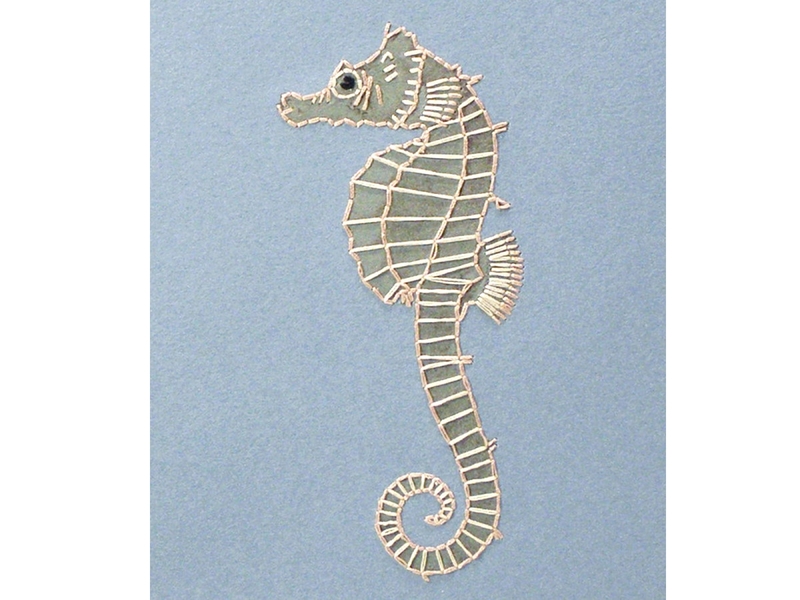 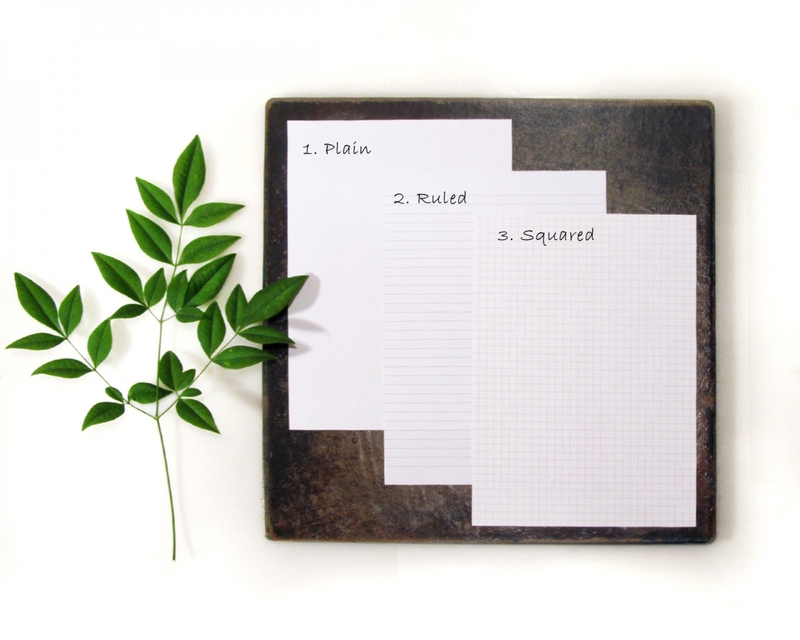 Front cover of a light blue card stock, hand embroidered with an elegant Sea Horse in brown, and beige cotton threads. 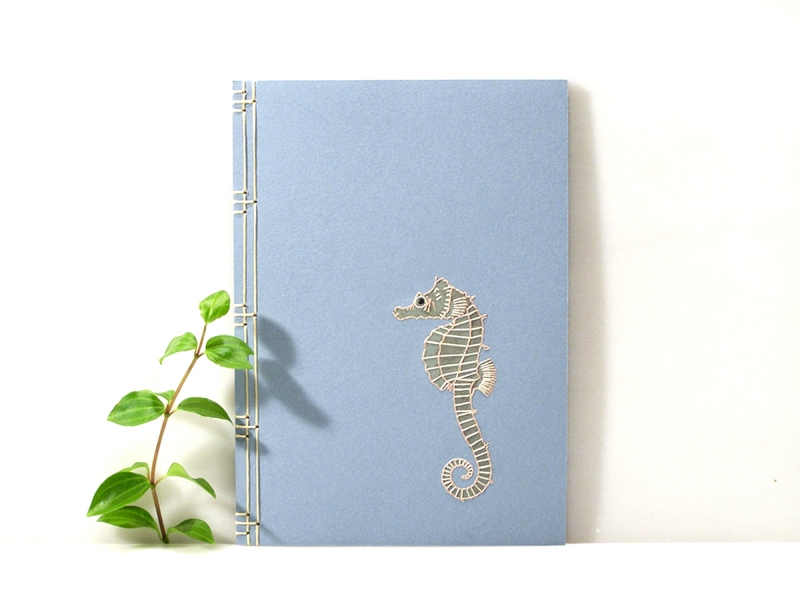 Bound with natural waxed string.